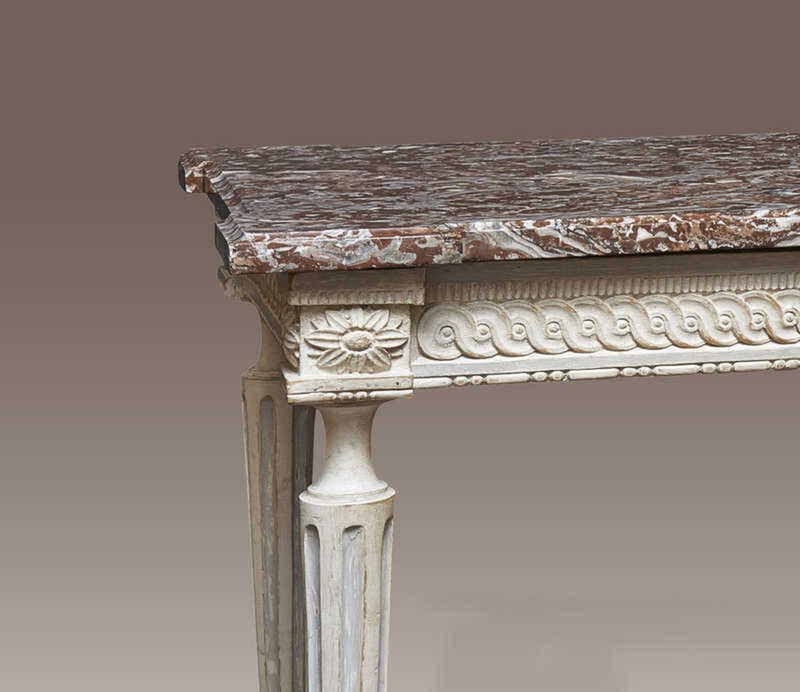 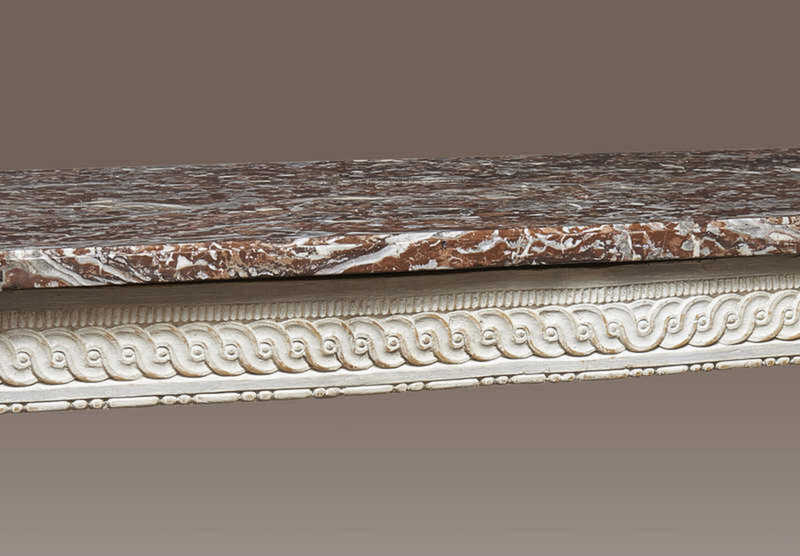 The rectangular original moulded marble top above a carved and rosette decorated frieze. 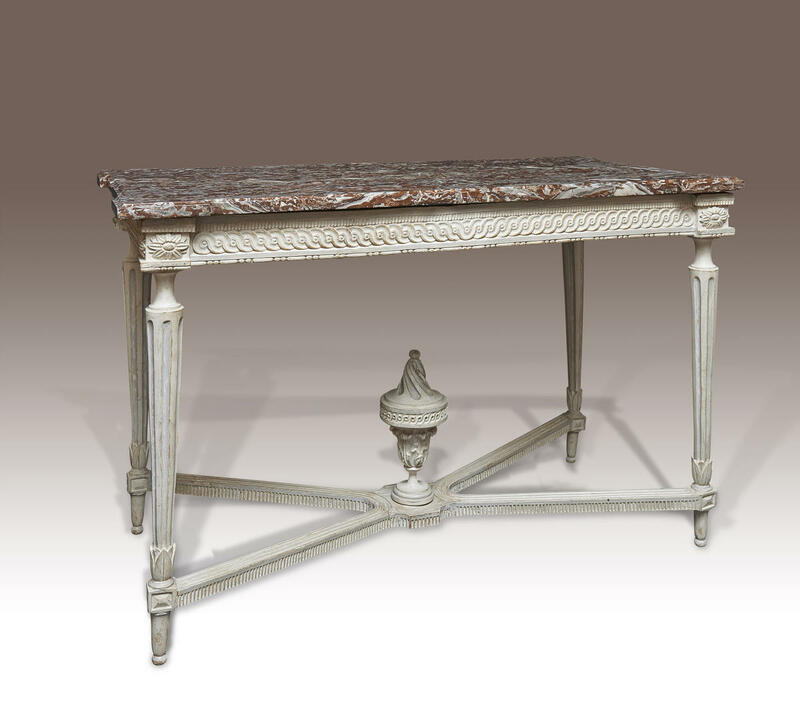 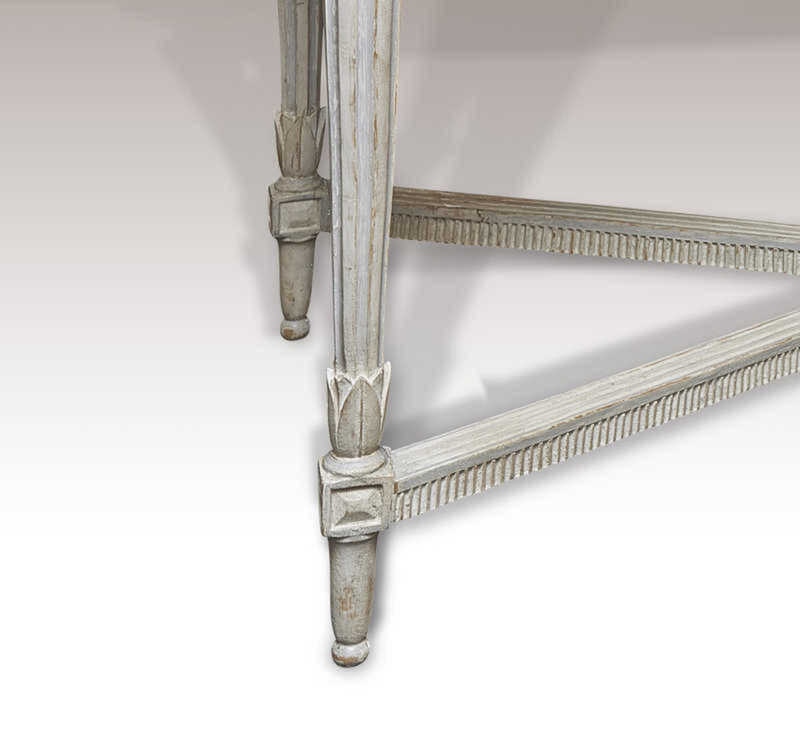 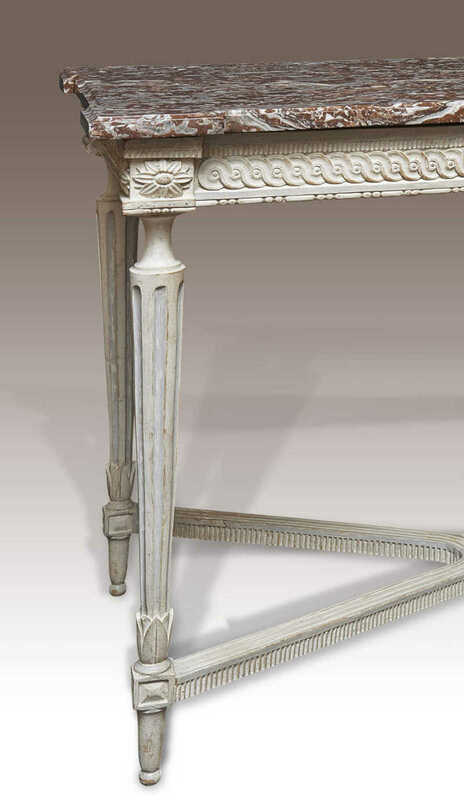 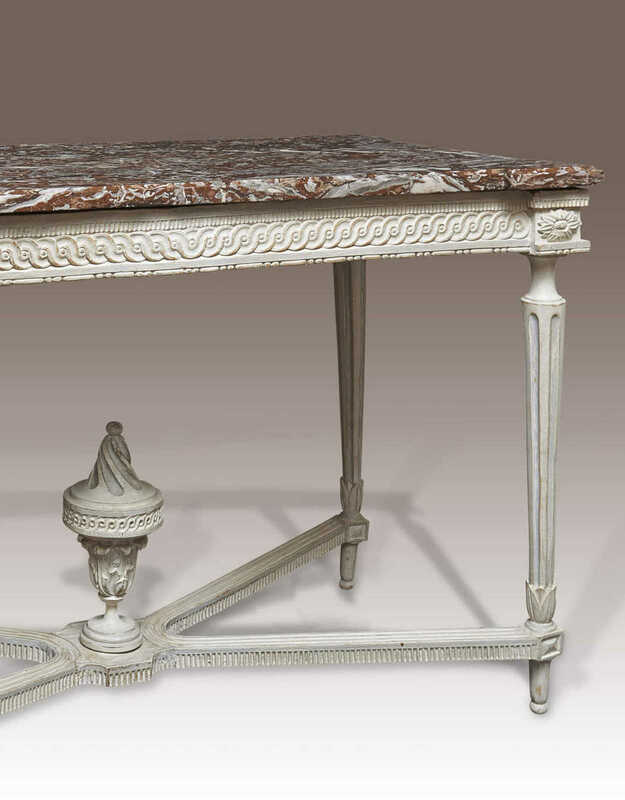 Raised on circular fluted legs with lotus carved terminals. 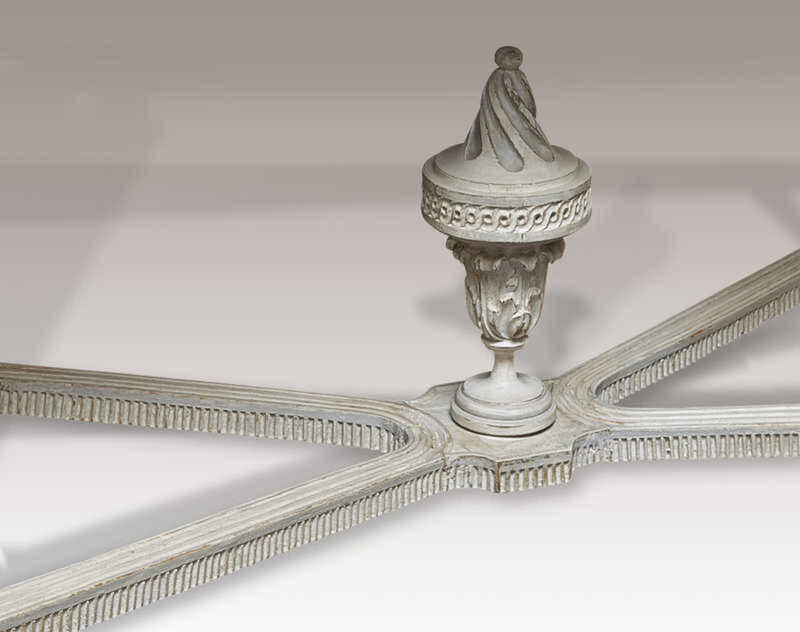 United by a shaped moulded stretcher supporting an urn.